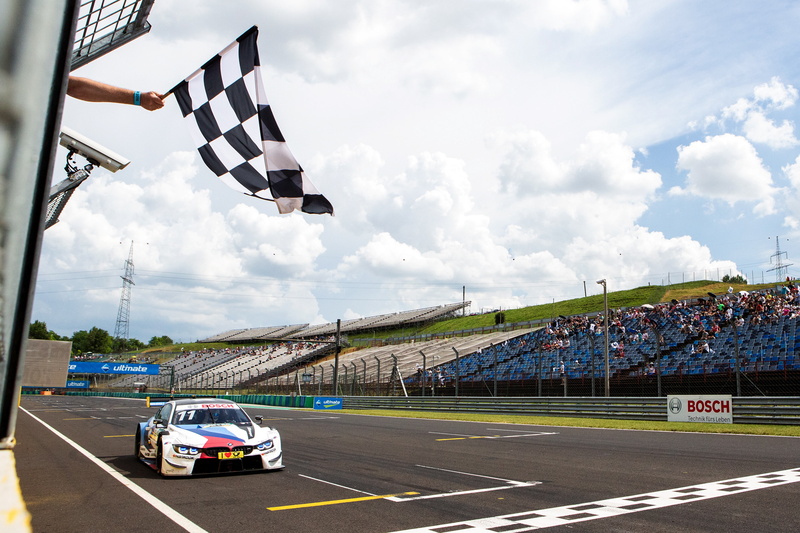 Marco Wittmann (GER) claimed his first victory of the season at the wheel of the BMW Driving Experience M4 DTM in Sunday’s race at the Hungaroring (HUN). 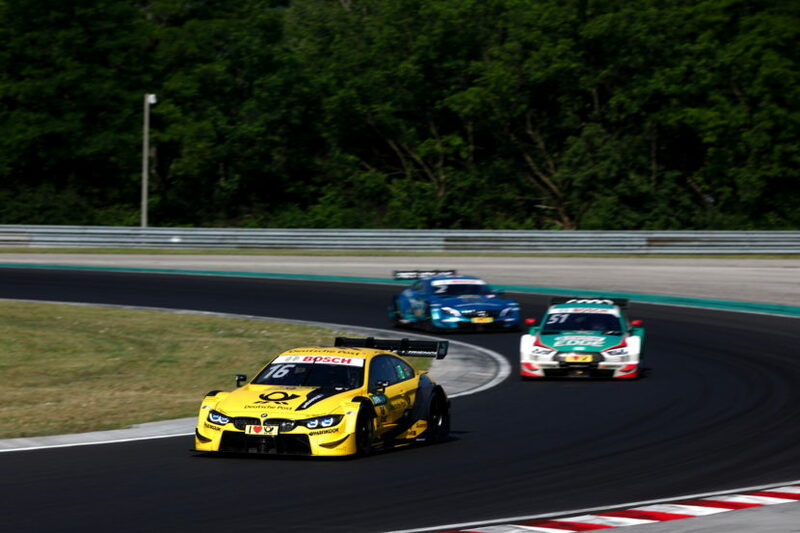 Timo Glock (GER, DEUTSCHE POST BMW M4 DTM) and Philipp Eng (AUT, SAMSUNG BMW M4 DTM) followed him home for a BMW one-two-three. However, the race result was of minor importance at the end of a chaotic sixth race of the season. Several people were injured in incidents in the pit lane and had to be treated in hospital. Seven laps in, the race stewards suspended the race after several incidents occurred in the pit lane during a shower. A number of cars coming in for their tyre change were unable to stop in time on the wet and extremely slippery concrete in front of the garages. Several people working in the pit lane were injured as the cars struggled to stop. 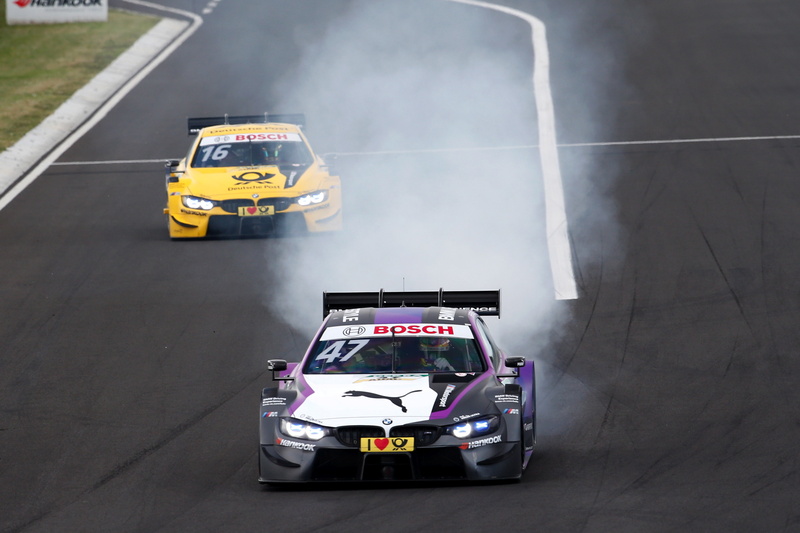 Spengler’s BMW Bank M4 DTM was one of the cars that skidded too far, hitting a BMW Team RBM mechanic who, according to the team doctor, suffered slight bruising on his foot. He was already back working on Spengler’s car by the time the cars took their place on the grid for the re-start. Spengler eventually came home seventh. 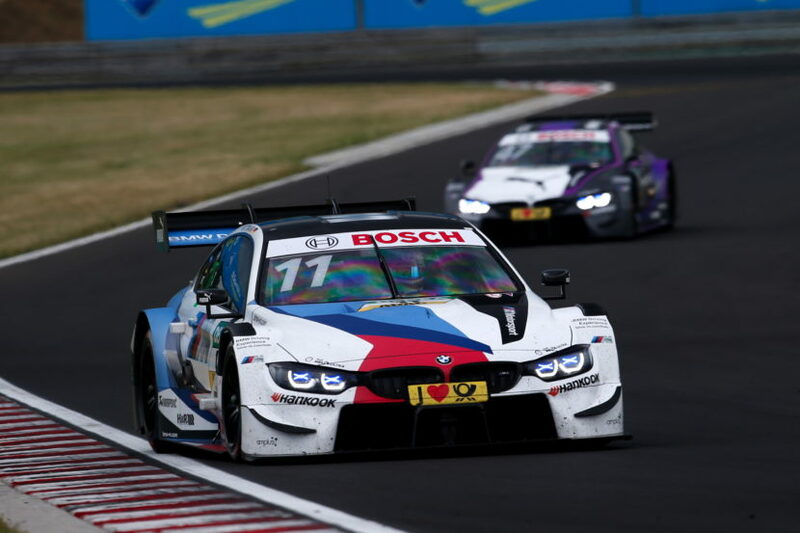 Like all the BMW drivers, he benefitted from the fact that the six BMW M4 DTMs had already completed their mandatory pit stops by the time the race was suspended. 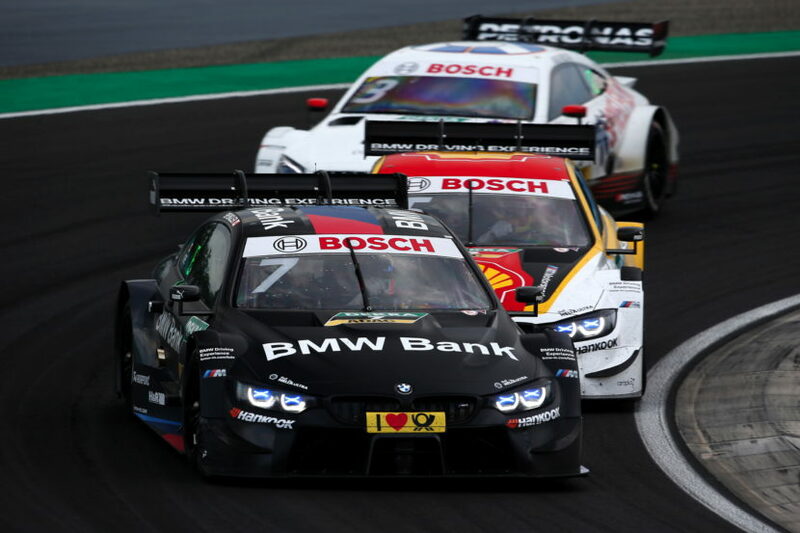 When the previous leading group came in for their tyre change after the re-start, Wittmann moved into the lead and controlled the race from that point, going on to claim his tenth victory in the DTM. Glock was second and returns to the top of the Drivers’ Championship with 90 points. 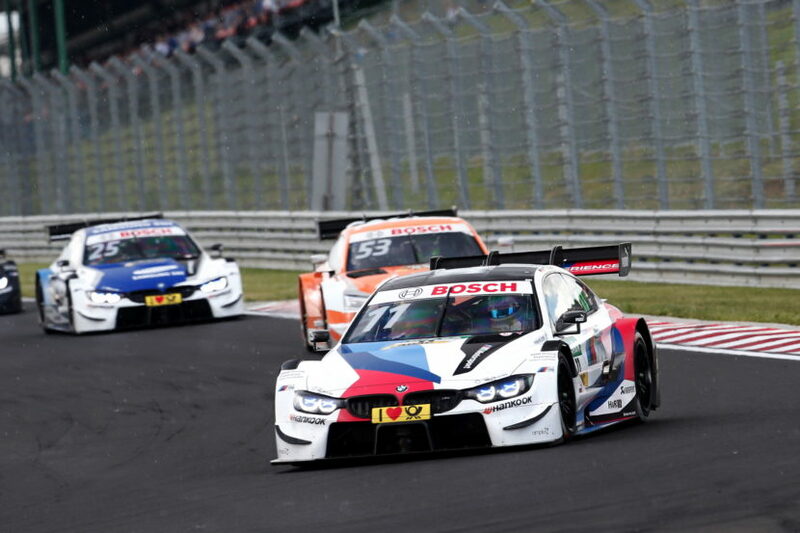 BMW Team RMR leads the team competition with 131 points. 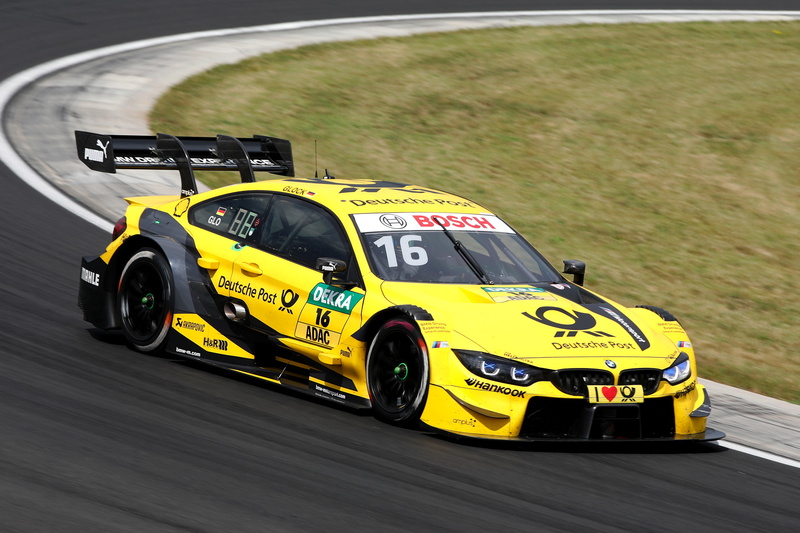 Behind Eng, who achieved the second podium finish of his fledgling DTM career, Joel Eriksson (SWE, BMW M4 DTM) and Augusto Farfus (BRA, Shell BMW M4 DTM) came home sixth and eighth.